September marks the start of a new home and slightly later time for our monthly book club. Now meeting in our Create Place at 29 Old Ford Road every third Monday, 6.30pm to 8.30pm. Anyone and everyone can come along. In the seven years that the Book Club has been part of St Margaret's House , it has brought together a group of people who share a love of literature and commitment to St Margaret's social and environmental work. 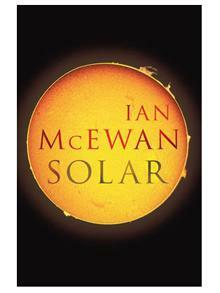 Anyone and everyone is welcome and this September the group will be discussing Solar by Ian McEwan. Michael Beard is a Nobel prize-winning physicist whose best work is behind him. A compulsive womaniser, Beard finds his fifth marriage floundering. But this time it is different: his wife is having the affair, and he is still in love with her. When Beard's professional and personal worlds collide in a freak accident, an opportunity presents itself for Beard to extricate himself from his marital mess, reinvigorate his career and save the world from environmental disaster.